Hello all-Shir here! As you may or may not know, I’m currently living in Tel Aviv, Israel. I’m super excited to announce my new segment called “Tel Aviv Top 5”. For those of you who know me you know how “on-the-go” I am, especially when I’m in a new place. These past 6 months I’ve dined at an embarrassing amount of restaurants, experienced the amazing nightlife, swam in the best beaches, spent the day in Israel’s beautiful nature, and so much more. We learn every day and discover new things all the time, which is why each post of this TT5 is a draft that will be updated if needed. I’m so excited to share with you all of the reasons why I love Israel through this segment! 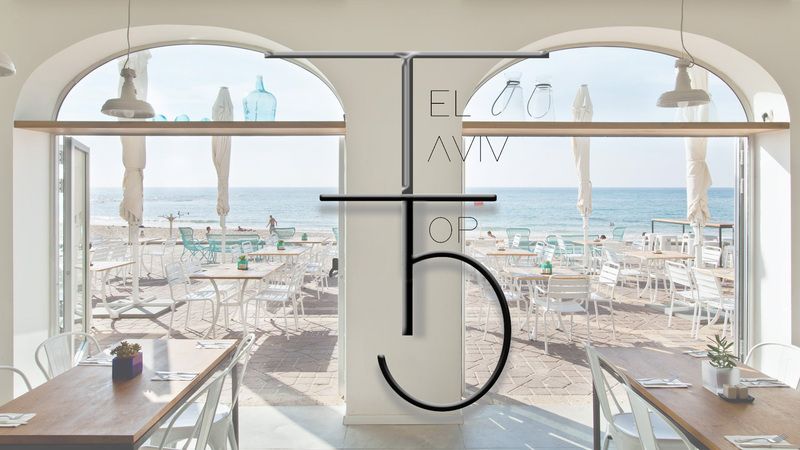 And the second Tel Aviv TOP 5 is……BEACH RESTAURANTS. Tel Aviv is home to one of the most beautiful and most fun beaches I’ve seen in my life. It’s impossible to walk down the boardwalk and NOT pass by the aroma of delicious Israeli beach food. Fun fact: one of the most popular summer beach snacks in Israel is watermelon & feta cheese. It may sound weird to you, but I promise it’s delicious! Most people go to beach restaurants in TLV to be facey (to see and be seen) which is reallyfun, but at times you also want a break. Because I’m such a big foodie, I have to rate this #1 because the food here is INCREDIBLE. Bordering TLV and Yafo, Cassis is a bit farther than the rest. It’s the perfect spot if you’re looking for a gastronomic dinner and private beach; it’s a good spot for you and a loved one or a birthday lunch and then relaxing beach session! This is one of the most popular beach restaurants in the heart of Tel Aviv. If you’ve been to the TLV beach, you’ve seen or passed bye this spot. Lala land is the ultimate place to show face. All of the tourists come here to eat a light lunch and tan. If I had to choose a beach restaurant to eat in the midst of the TLV madness it would be this one. Their salads are DELICIOUS and I heard the schnitzel is too. Mystery dad and I were cold so they offered us blankets! This beach restaurant is technically in Herzeliya (the city just north of TLV) but it’s super close and knwn as THE beach spot in Israel. People come here more to drink, tan, and party then to eat. The music and vibes are great and in the summer there is ALWAYS…and I do mean always….a PARTY. This beach restaurant is near Lala Land and is one of the most popular ones. It’s in the center of the city and people are always strolling passed it. It’s known for its seafood and good vibes. What makes it stand out from the others, is the fact that it hosts “sunset” parties almost every night of the week during summer. There is a weekly “lineup” with the DJs performing and its a good time for those who want to enjoy the beautiful beach sunset while getting a little buzzed! This beach restaurant is also in Herzeliya (like Gazebboo) and is situated on these rocks on the beach overlooking the beautiful ocean. Because it’s not in the center of Tel Aviv, it’s not as much of a party and you won’t see everyone and their mother whom you know- BUT I’ve got to recommend this place for its incredible food and classy style.